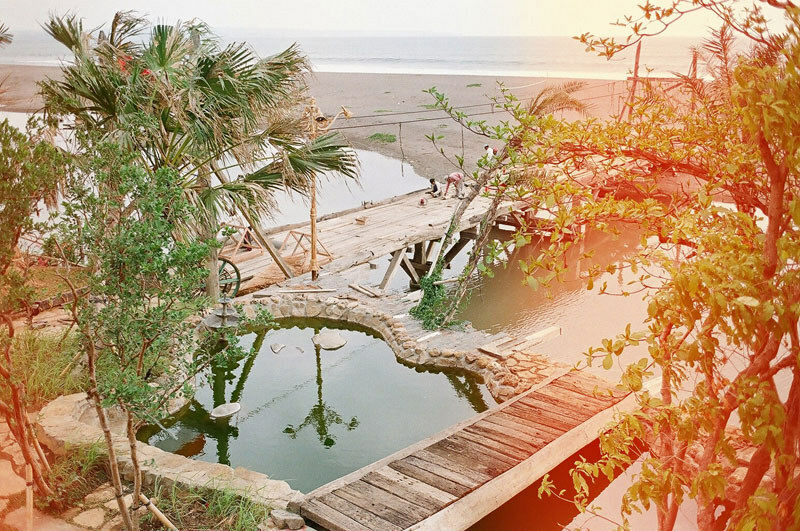 Legend says that Bali is the break-up island. 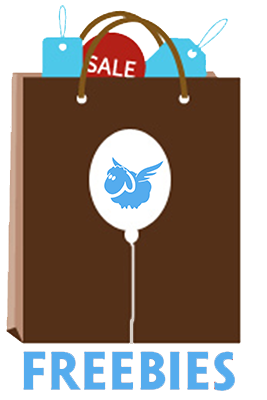 With the myths debunked, all you have to do now is book that flight with your loved one – and get your romantic vacation started. 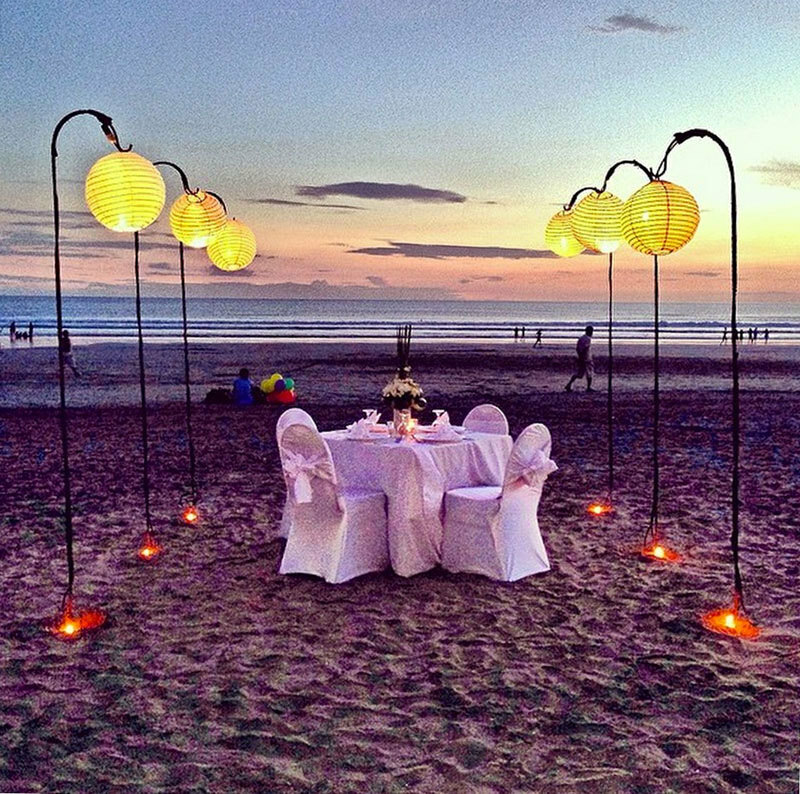 Just for you, we’ve gathered 14 of the most romantic restaurants in Seminyak. 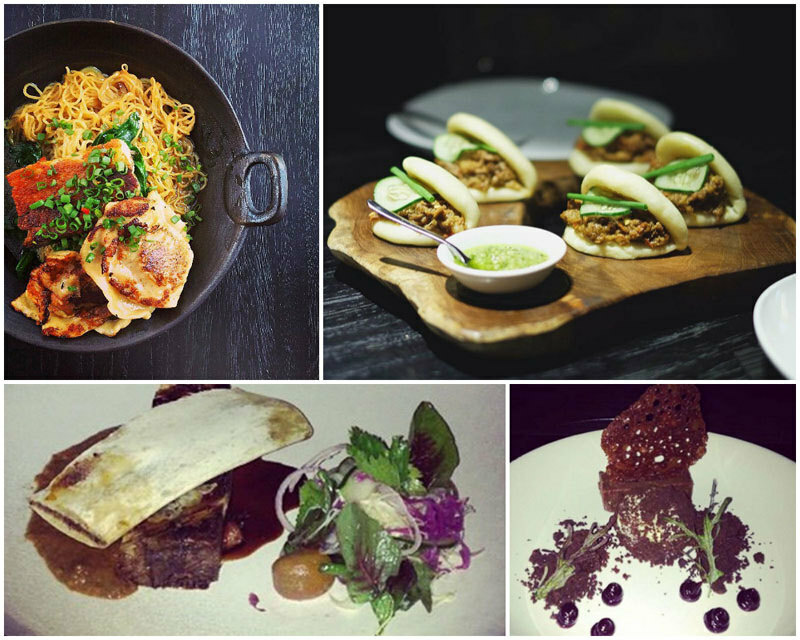 Get ready to be charmed off your socks as these amazing dining places help you to rediscover romance and refuel your relationship fire (all with mains for under $15). Be warned though! 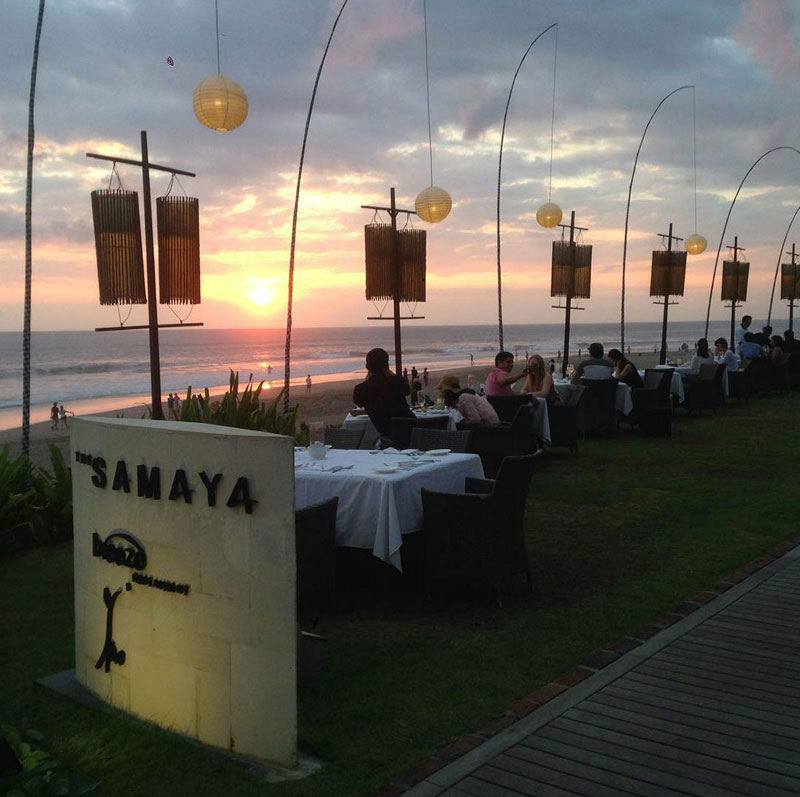 There won’t be breakups, but you might just fall in love with Seminyak you’ll want to come back for more. 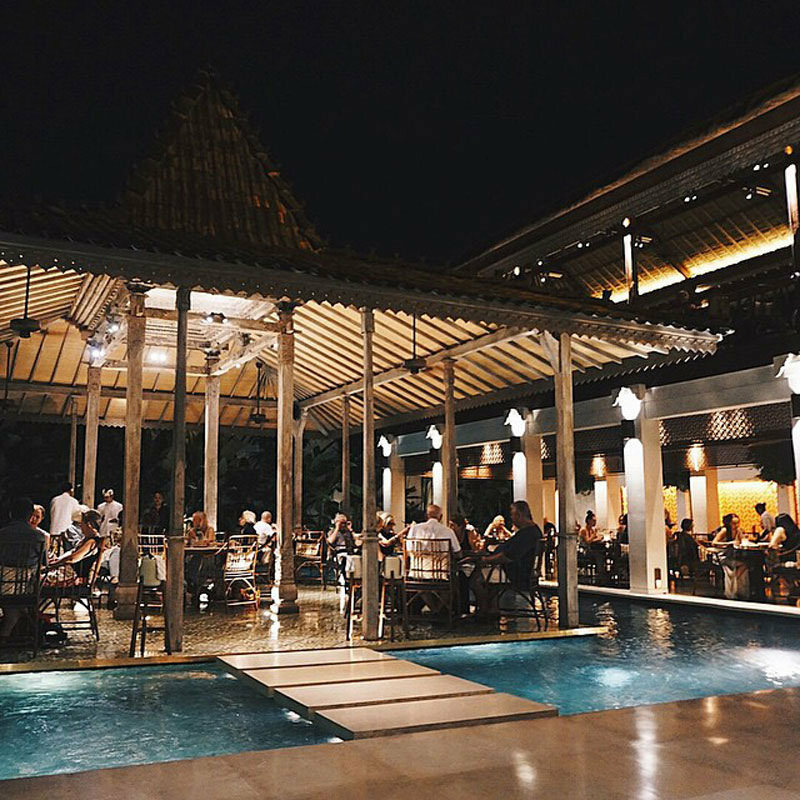 Brought to life by the same people behind La Lucciola Bali – one of Bali’s pioneers in beachside restaurants, Bambu Restaurant is bound to deliver the same intense culinary wonder – if not more. 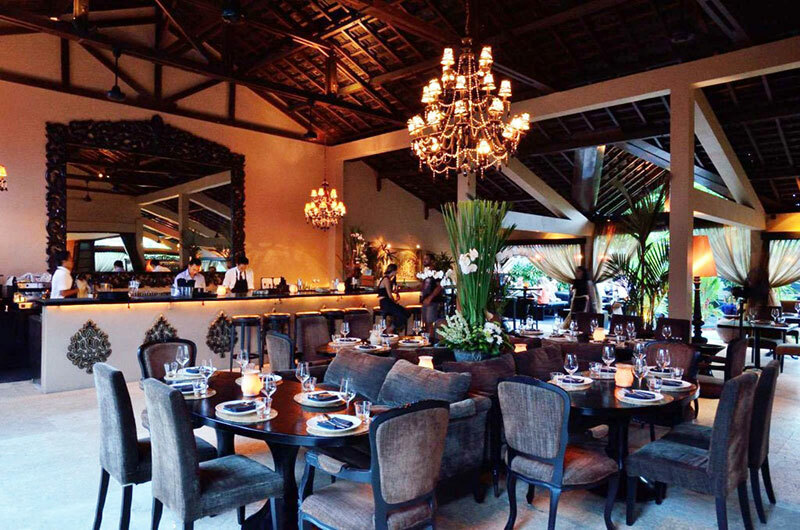 Ranked the #1 place to eat by visitors and argued to be the new best restaurant in Seminyak, Bambu takes place in a majestic pavilion that seemingly floats on platforms surrounded with crystal blue waters. 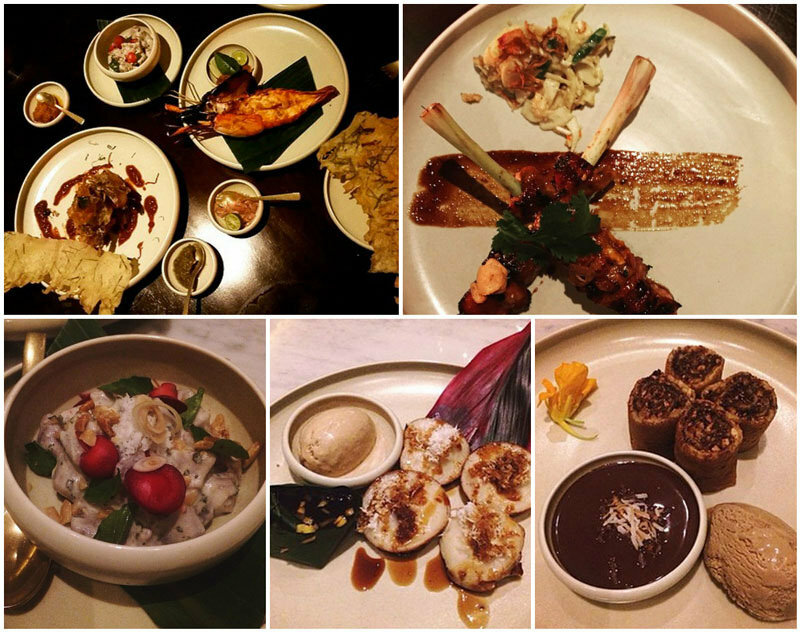 Fantastic view and stylish ambience aside, what really stands out is the top notch service from its staff, along with the extraordinary classic Indonesian cuisine with an elevated gourmet style. 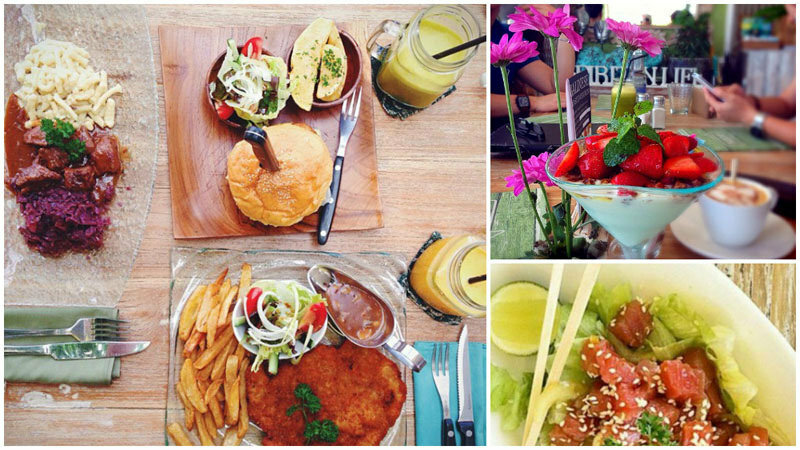 Try out their chicken and prawn satay, dipped in special spicy sambal, just as you would at any local warung. Tender ribs are among the favorites along with dadar gulung as dessert. 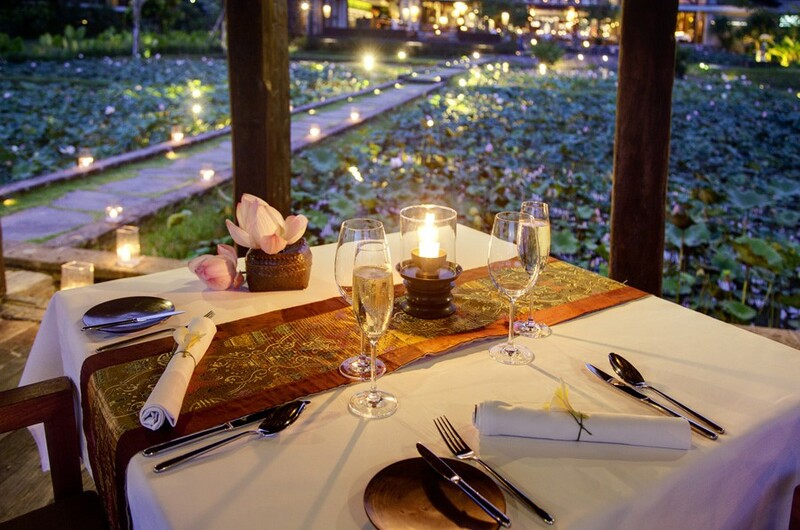 Do book in advance for an unforgettable and romantic dining experience! 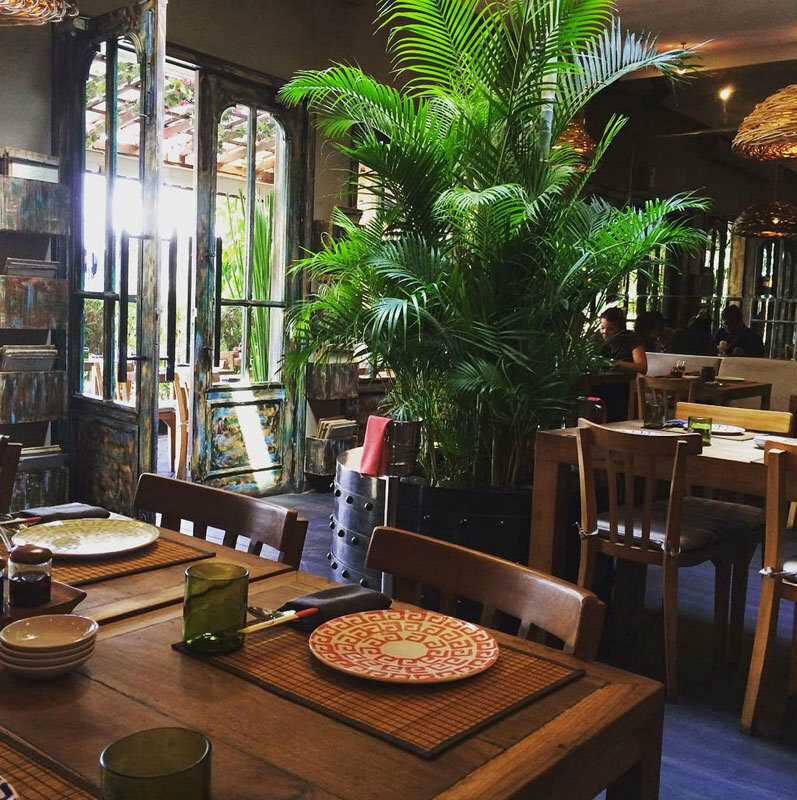 Almost completely off the radar, La Laguna will definitely make the journey worth your while. 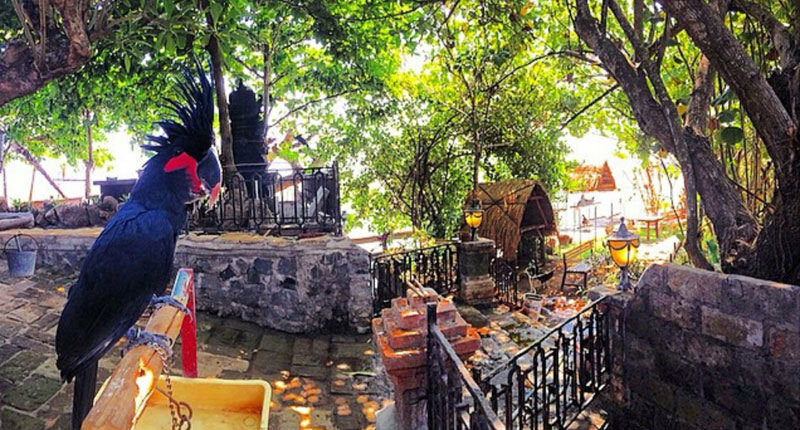 As young as it is new, La Laguna serves culinary options like an old pro. Enjoy savory light bites like croquettas to main courses accompanied with potent Long island tea and other exotic drinks. 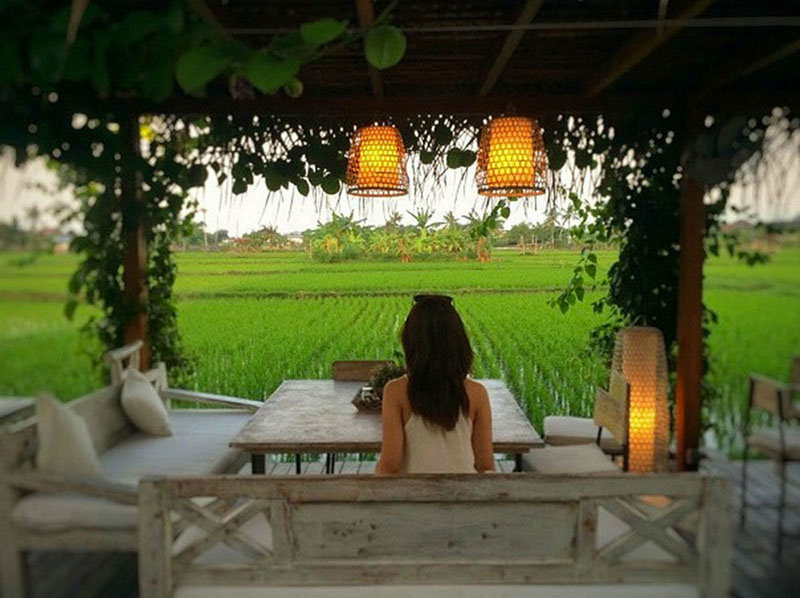 Serving in warung-meets-restaurant style, Nook’s interior opens up to a breathtaking 360º panoramic view of lush paddy fields decorated with sheer white curtains and relaxed plush seats. 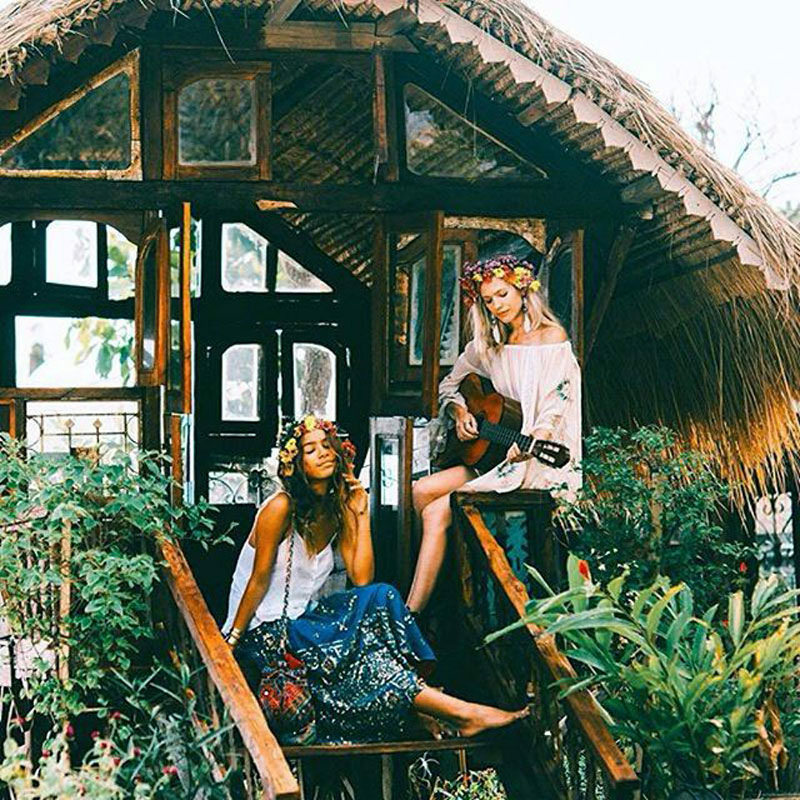 Tucked away just north of Seminyak, this little hidden haven offers the all-in romantic experience: Chill vibes, great service, tranquil ambiance – and not to mention, excellent food. 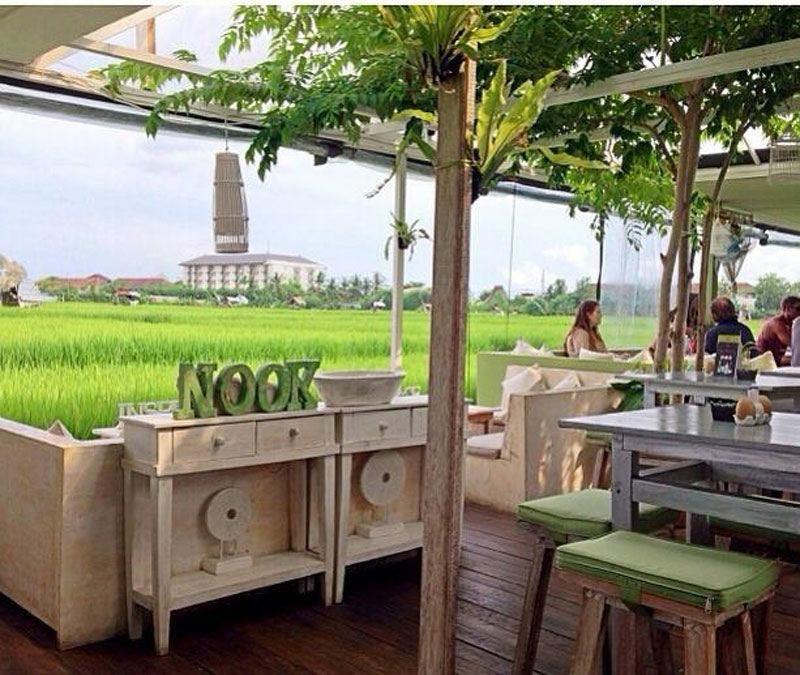 Nook adapts both local and western cuisines in their own style so deliciously well that a fair recommendation includes both variations such as: Nasi Campur Veggie/Special, the sweet local curry dish, to its big portion of pasta and hamburgers. With its surprisingly affordable pricing, you simply have to order from Nook’s dessert selection to satisfy your cravings and put a sweet end to your meal. 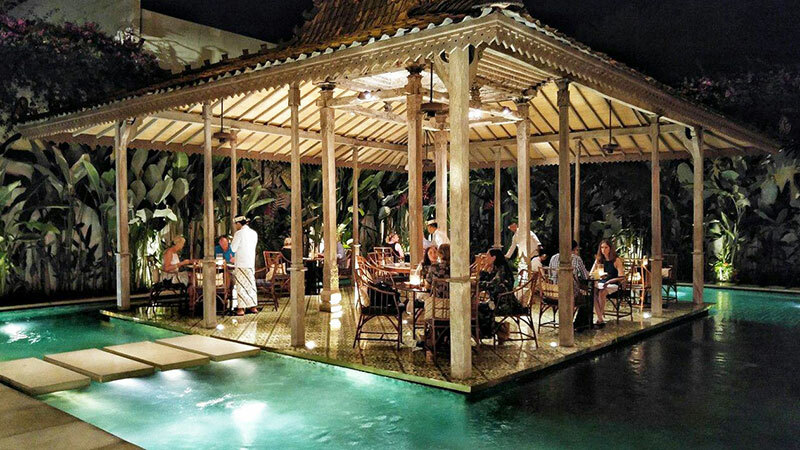 Dining in Merah Putih is about celebrating Indonesian food especially in its communal and convivial sense. 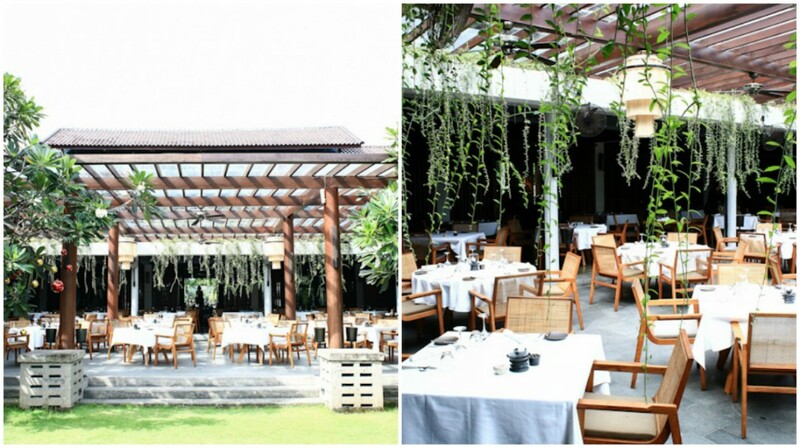 Simplified by the owner, the menu is divided into 2 sections: traditional and modern. 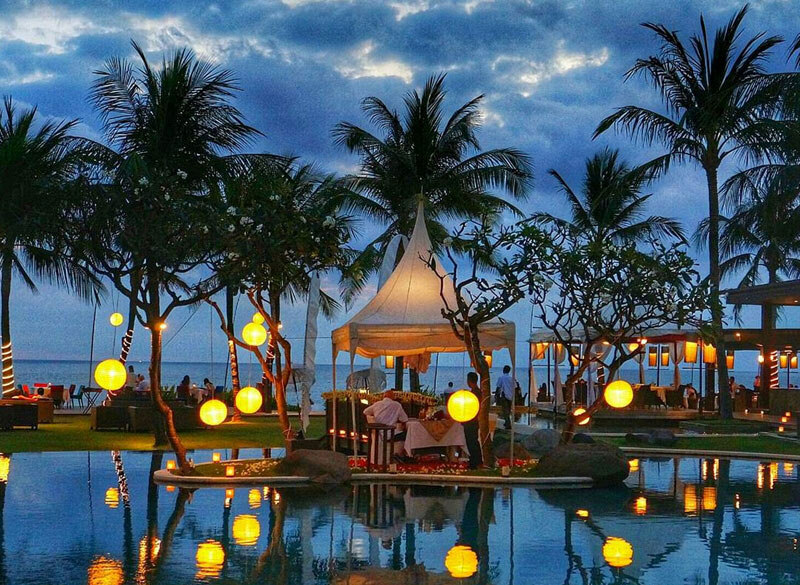 Whether you are into the non-fussed traditional Indonesian menu or enjoying a sample of innovative culinary creations in its modern menu, chances are you’ll be in awe of this unbelievably grand and artistic restaurant. 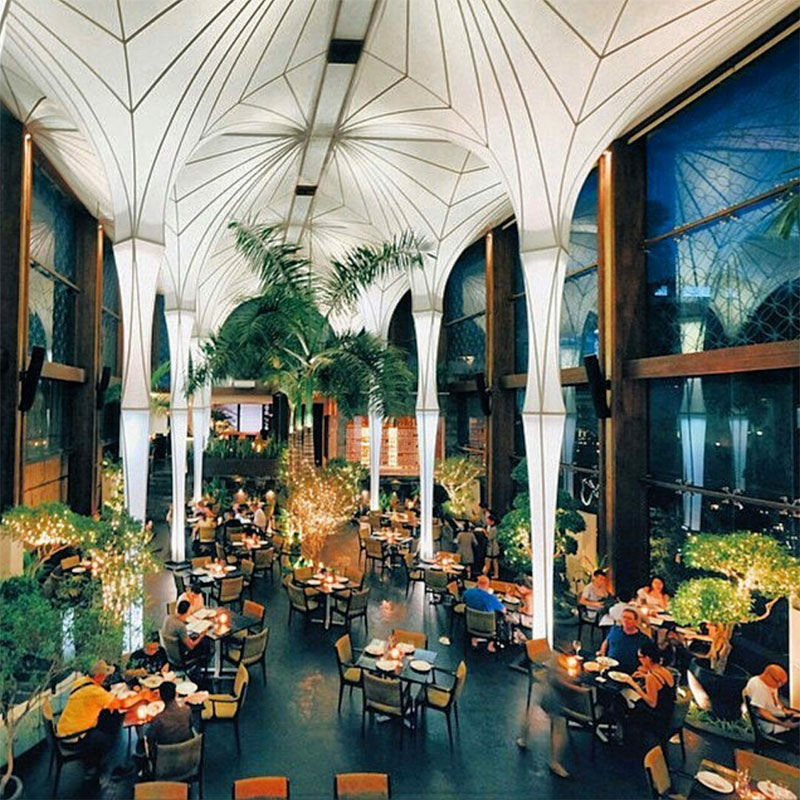 A gorgeous dining space, with sky-high ceilings and penetrating sunlight through its glass walls, the classy ambiance fills the restaurant hall with a glamorous atmosphere. 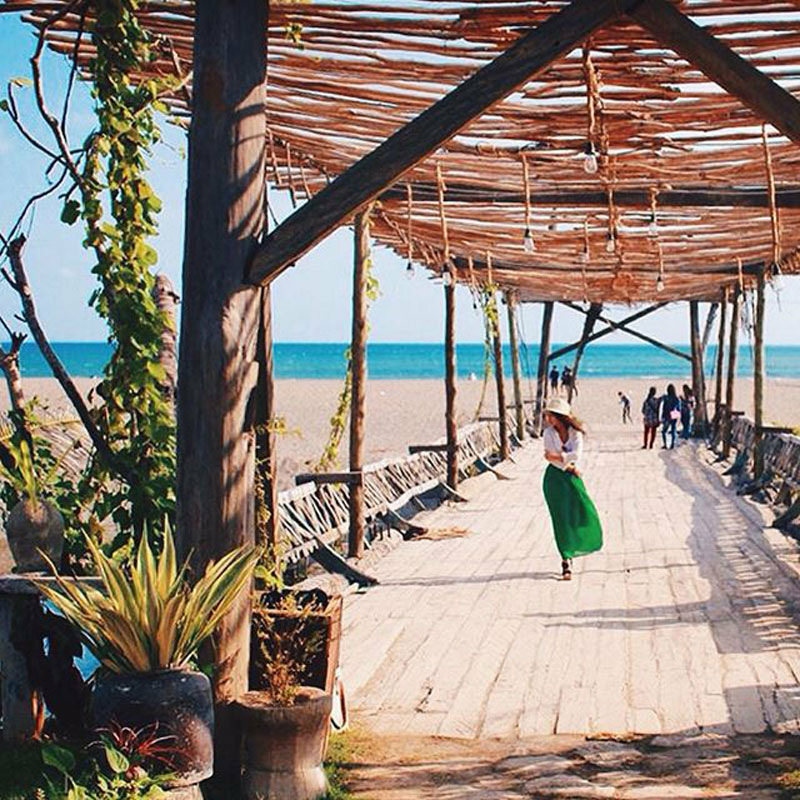 Merah Putih is not just unlike any other place you’ve ever been in, its beauty is almost unreal. 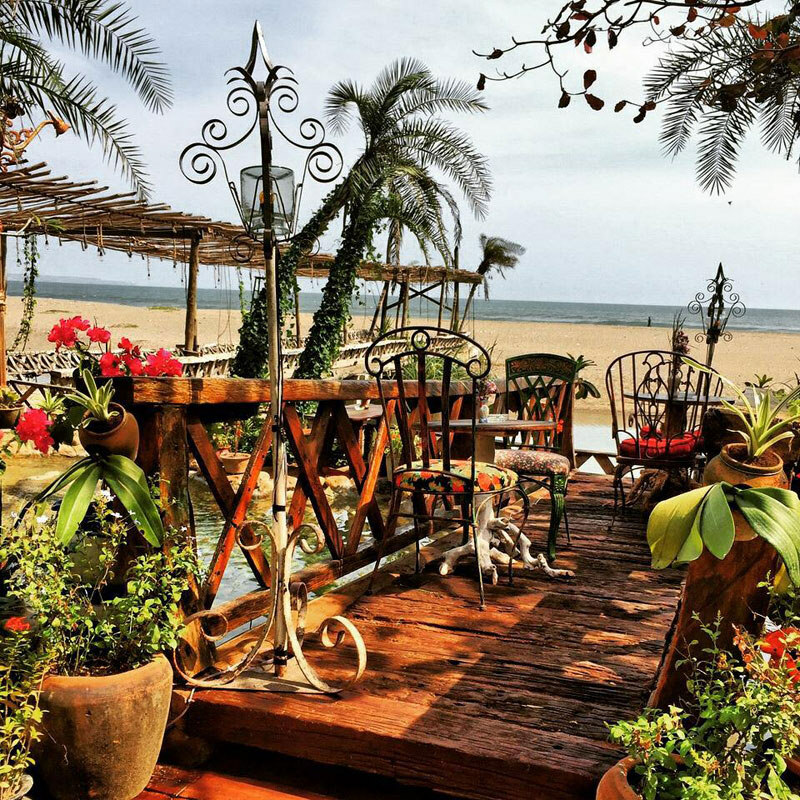 An al fresco beachfront background, check. Glorious sunset views with the serenade of crashing waves, check. Twinkling sprawl of balmy evening lights, check. Grand dining experience and accommodating staff, check. 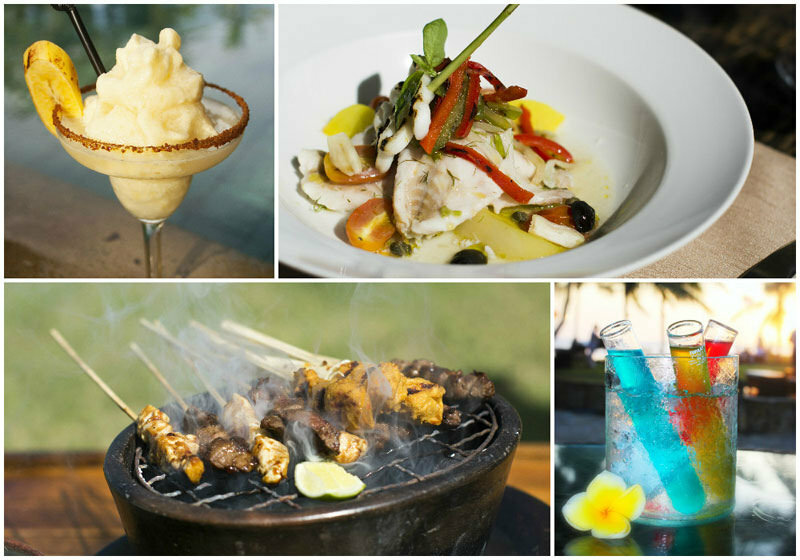 Enjoy the free appetizers while settling in with refreshing drinks. 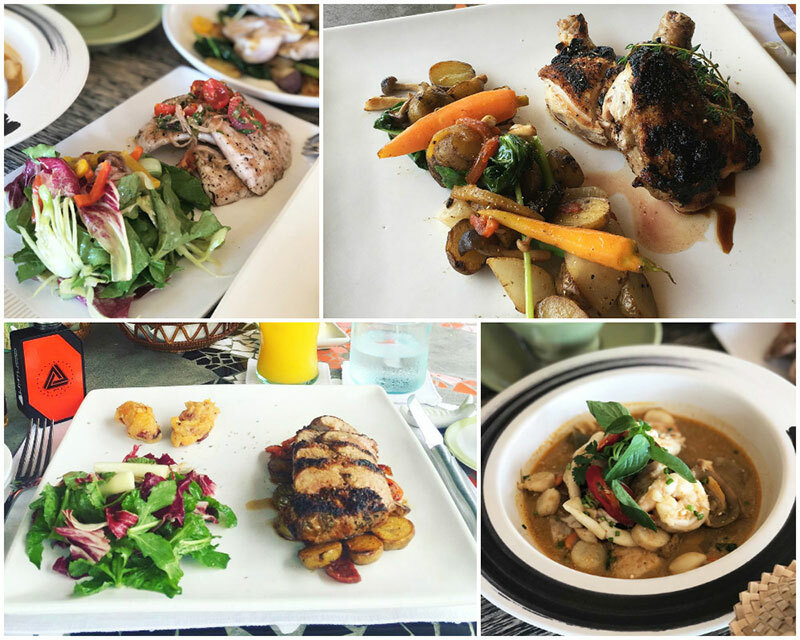 Follow up with their selection of land and sea cooked ala western or infused with local taste. Have a go at their extra rich vegetarian & indonesian menu. 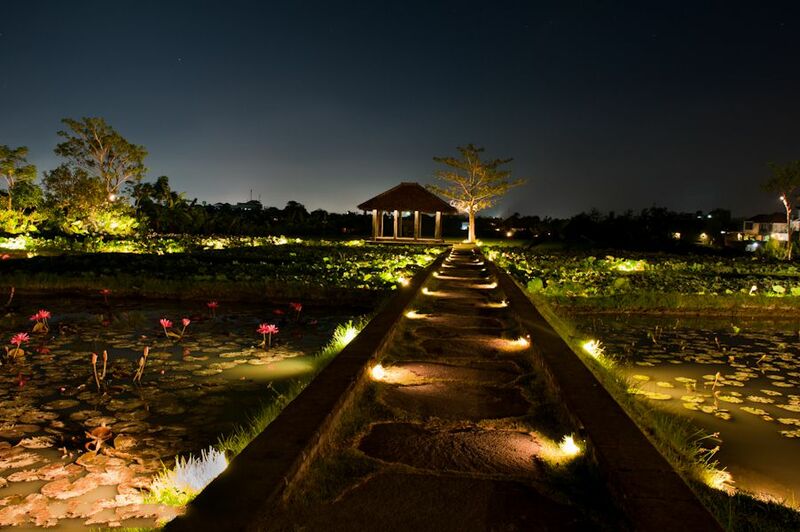 And lastly, take a stroll with your loved ones under the starry night. 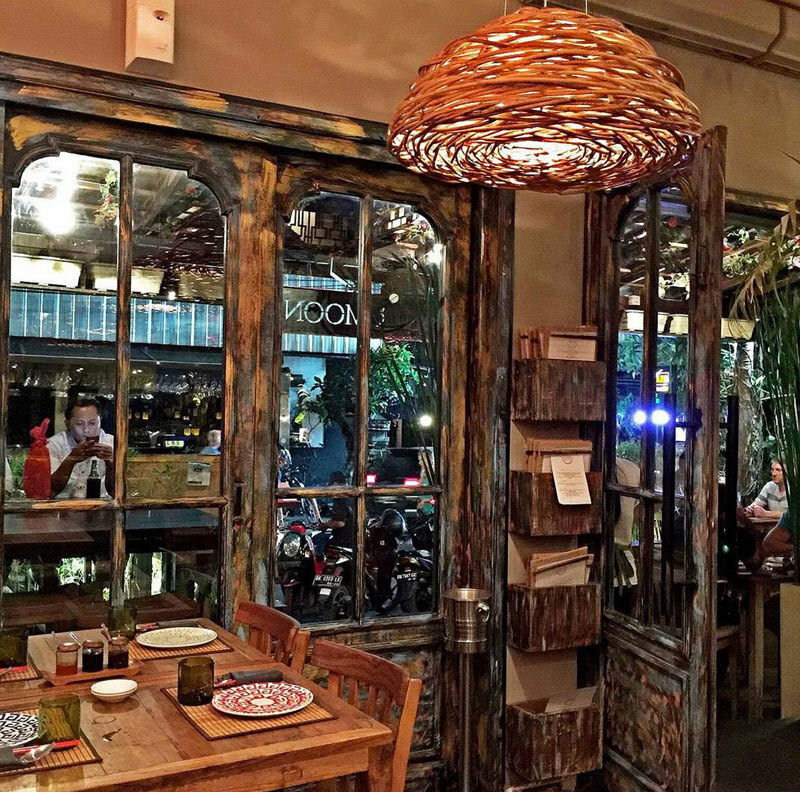 This is actually a Parisian eatery and bar, with an ambience that reminds us of a New York loft – all done by a Moroccan-Belgian couple staying in Bali. You wouldn’t guess what’s inside from its humble wooden signboard at the door. With its bare brick walls and black basalt stone flooring, coupled with cushy sofas and an abundance of vintage furniture, doesn’t it inject a warm, homey feeling to the industrial setting? 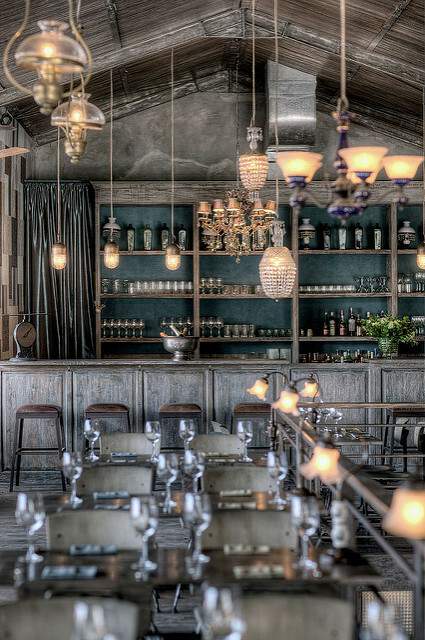 And the impressive chandeliers definitely contribute to its glamour. 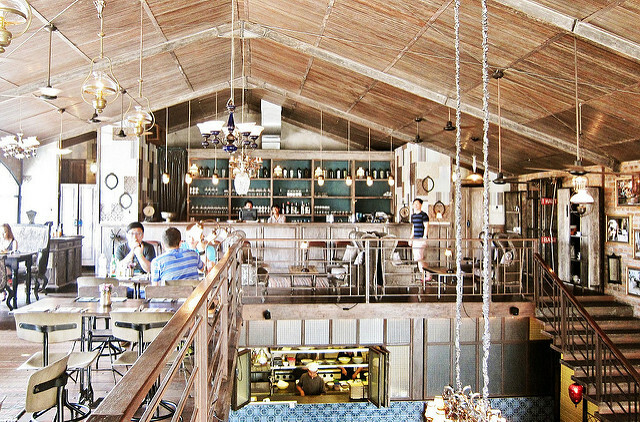 Don’t forget to check out the upstairs bar – said to be a space Hemingway himself would be proud of. 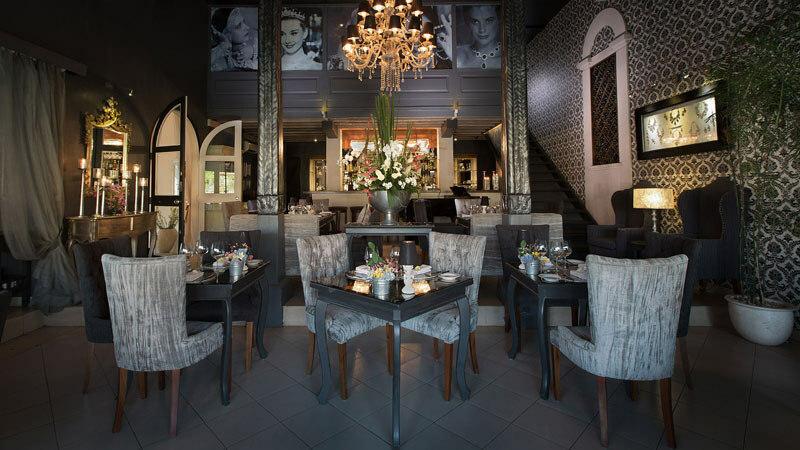 Bistrot is original, quirky, delicious, and whimsical – charming by day and glamorous by night. 7. Metis: Fine French Foie Gras and more! 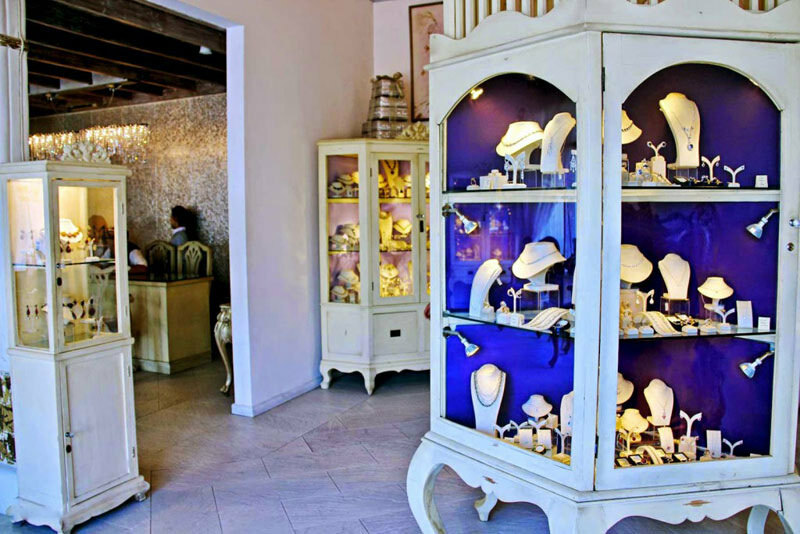 While running a fine jewellery store of the same brand, Jemme is a name quick to rise in the luxurious Seminyak dining scene. Designed and furnished exquisitely in classic style, the interior decor of crystal chandeliers and classy wallpapers exudes an aura of elegance fit for royalty. 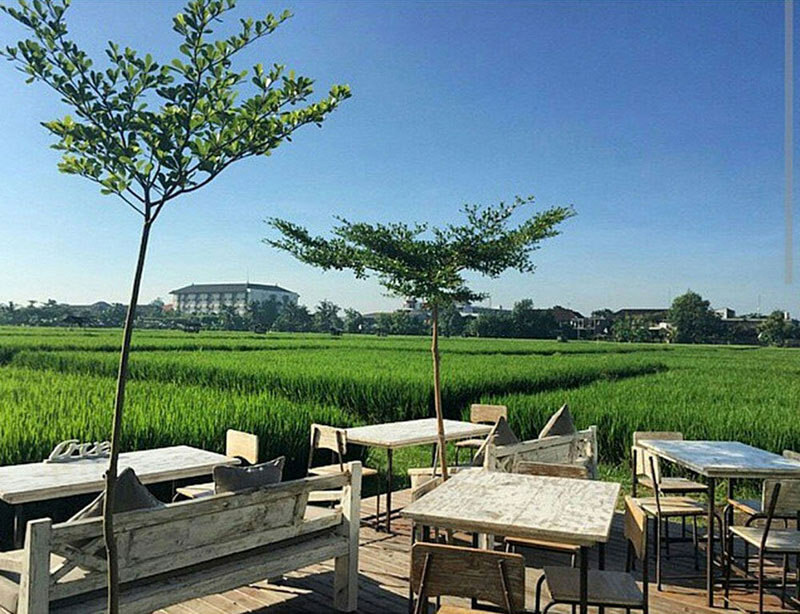 A giant glass window overlooking a spectacular view of lush paddy fields is also proportionately placed to give an extra oomph of scenery. 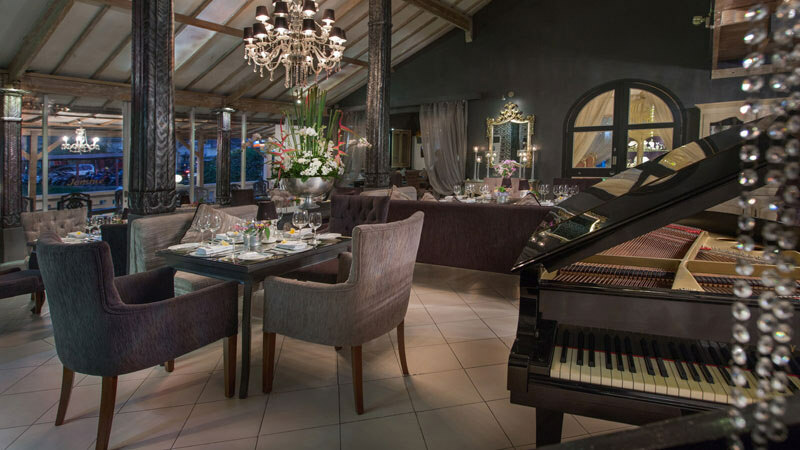 Complete with the flowing melodies from the pianist’s baby grand, the last thing that is a match of the overall tastefulness is the chef’s tantalizing creations. 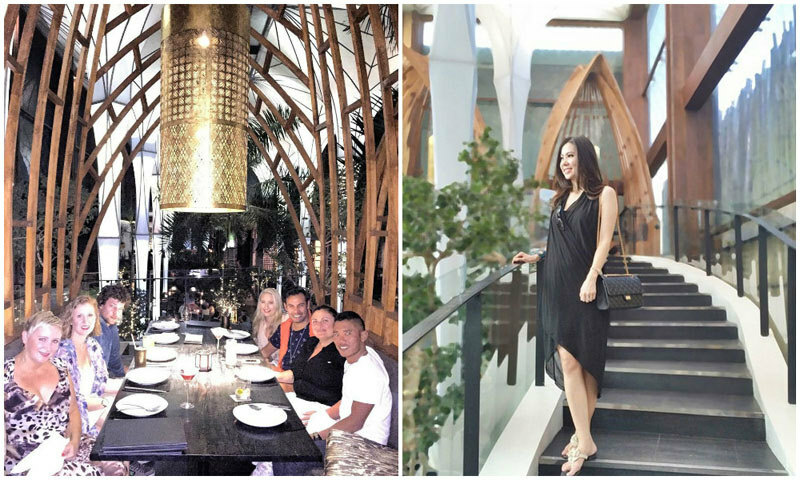 Dominated with western style, and a touch of French cuisine such as Chicken Liver Pate and Foie Gras throughout its menu, Jemme also goes back to its Balinese root by serving pork dishes and Crispy Duck. Remember to top off your classic evening with servings of mocktails or other alcohol beverages! 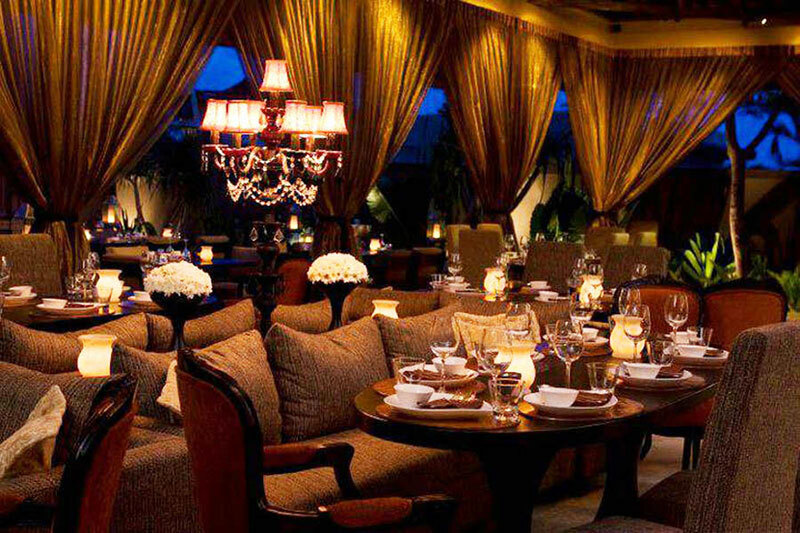 Possibly the most glamorous restaurant on this list, Sarong is all crystal chandeliers, velvet and dreamy lighting. 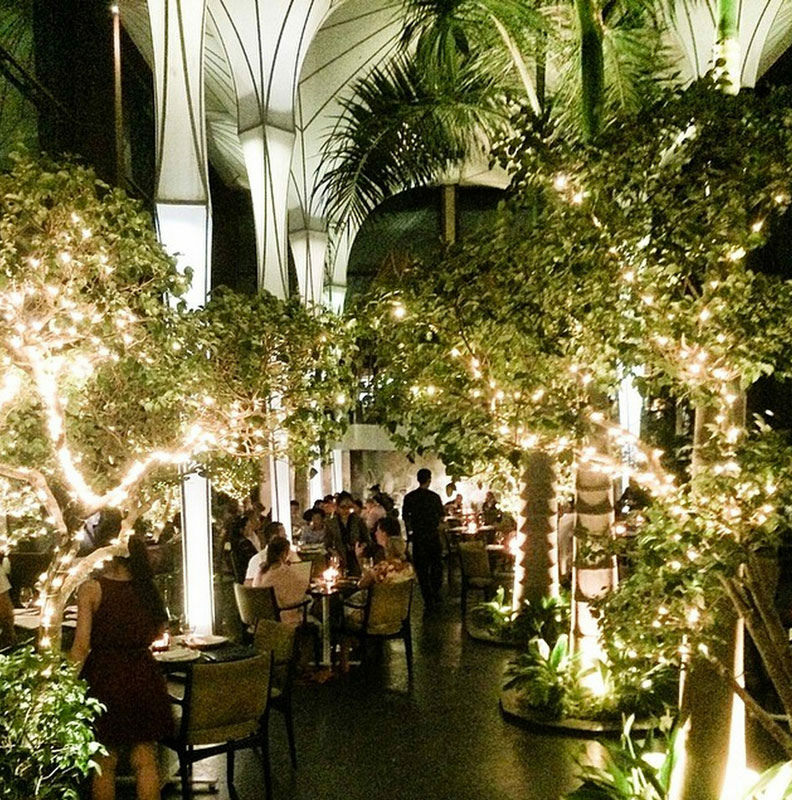 Considered by Singapore World Gourmet Summit to be one of the five finest restaurants in Asia in 2011, it is also much more than simply pretty décor. 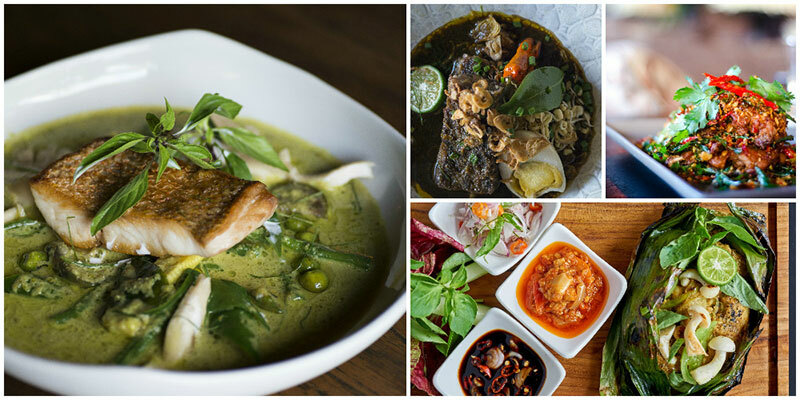 You’ll be delighted with the flavourful, refined and distinctly Asian cuisine – betel leaf starters, seared scallops with green mango sambal and salted fish, and lamb shank in the spices of Western Sumatra are just some of the dishes available. Don’t just take our word for how wonderful it is: Conde Naste Traveller and the Miele Guide think it’s tops too. 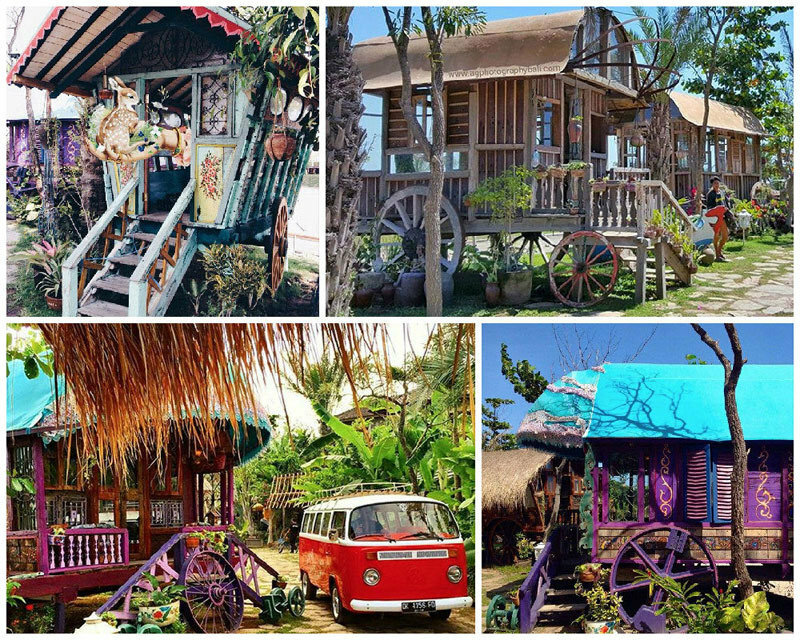 And one last word on Sarong: this restaurant requires reservations, so book early. 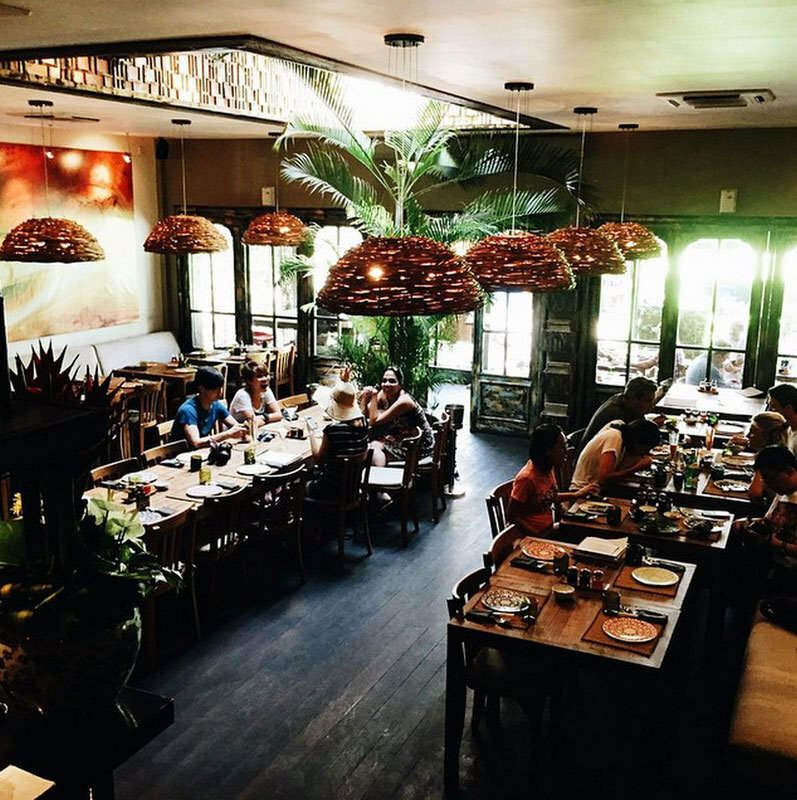 Having recently changed its name to K Resto, Amazing Bali Cafe (ABC) is still living up to its former name – as the food and restaurant itself is simply, Amazing. 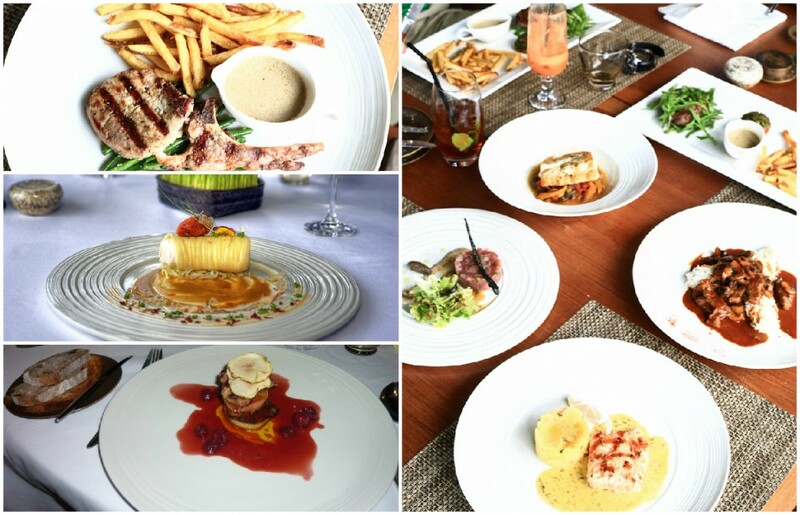 Basically a fusion restaurant, Executive Chef Karyadi is often praised for his food & service. 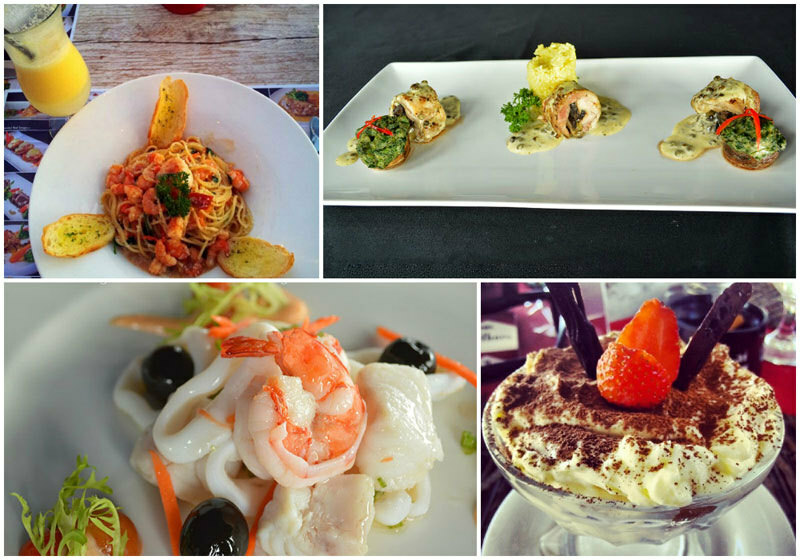 Offering Italian dishes such as Pasta, to Asian dishes like Sate Ayam, Nasi Goreng Kampung and Mie Goreng, K Resto is also sought after for its cozy eating environment. 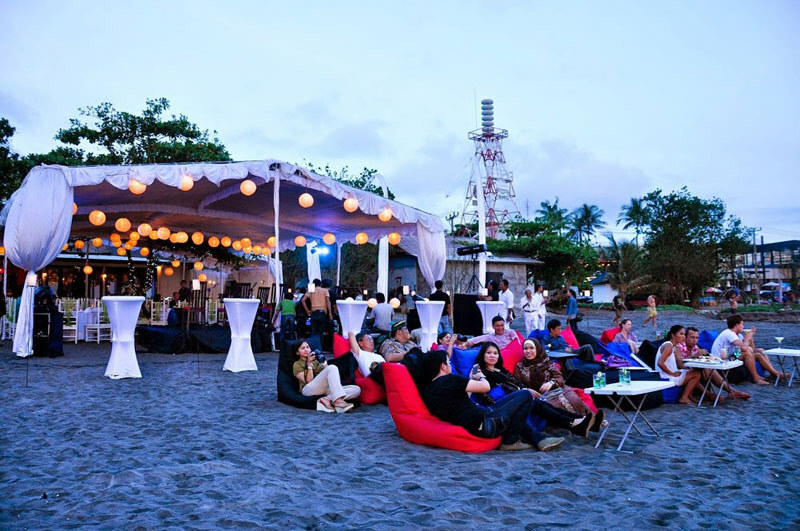 With a simple set up in a “black & red” theme facing the Seminyak beach, enjoy sunset and dinner in a lantern-lit atmosphere – while cuddling up after in bean bag chairs with your table on the sand and cozy drinks in hands. 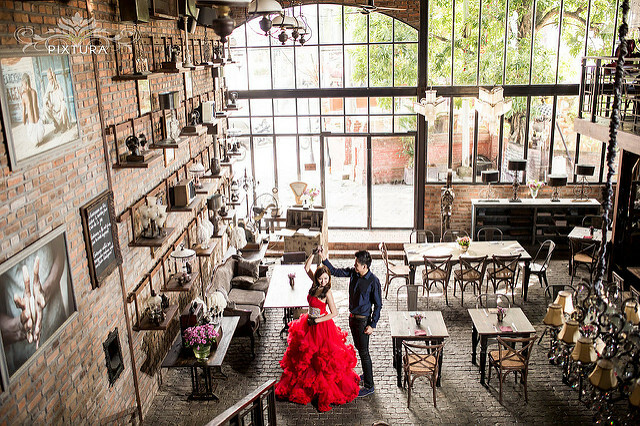 And if you have any doubts about a romantic affair here – it’s so romantic, weddings are even held at K Resto! If breakfast and brunch is your kind of thing, don’t miss out on this one. 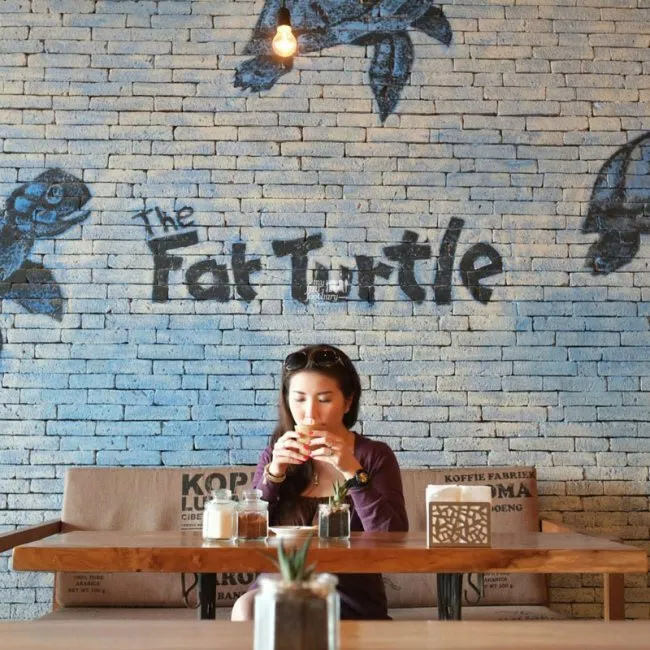 With its unassumingly cute and quaint appearance, The Fat Turtle serves coffee with creative latte art and some mean red velvet pancakes – that is to some, truly addictive! 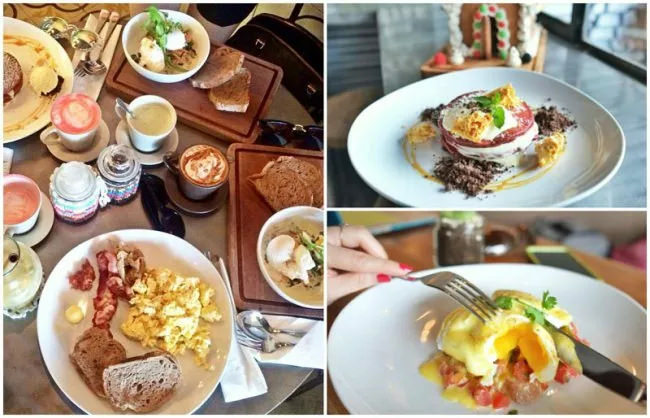 With hearty meals like Egg Benedict with pulled pork, Avocado Toast, Spinach egg yolk and more, it will be a wonder if you can make it to dessert. But if you do, and in fact, you must – do try out their ice cream with honeycomb and chocolate chips! 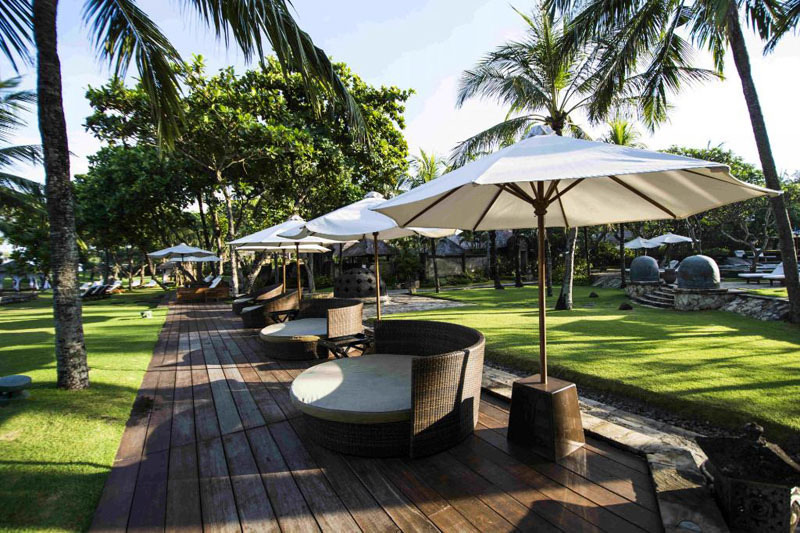 There’s also no rush as you sip on your coffee and enjoy the time with your favourite person lounging in this little slice of heaven in Bali. 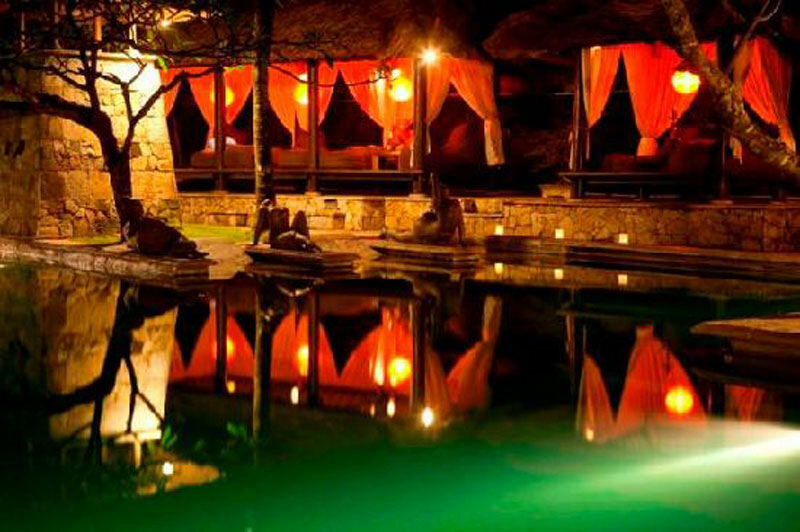 Get ready to be pleasantly surprised at Ginger Moon. 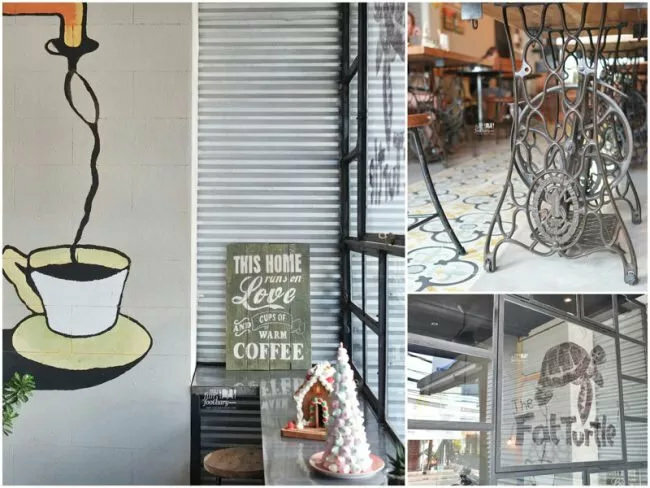 As soon as you step into a pretty painted door of the 2-floor modern eatery, you’re welcomed with a vibrant yet relaxed Asian vibe. 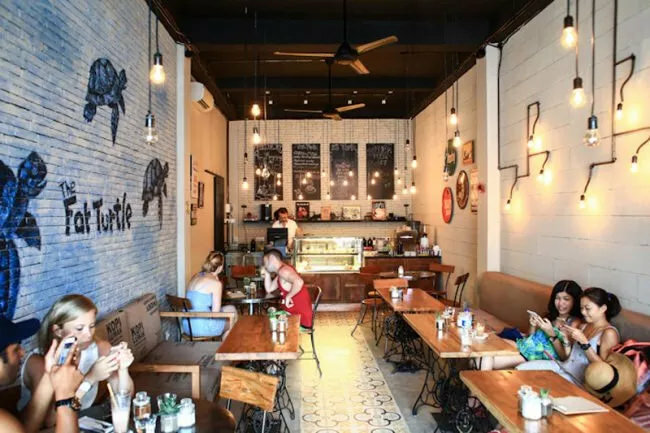 Styled in banquette seats with hints of vintage decor and a gallery wall exhibiting local arts, Ginger Moon creates its own homey feeling that eases customers into a laid-back mood. 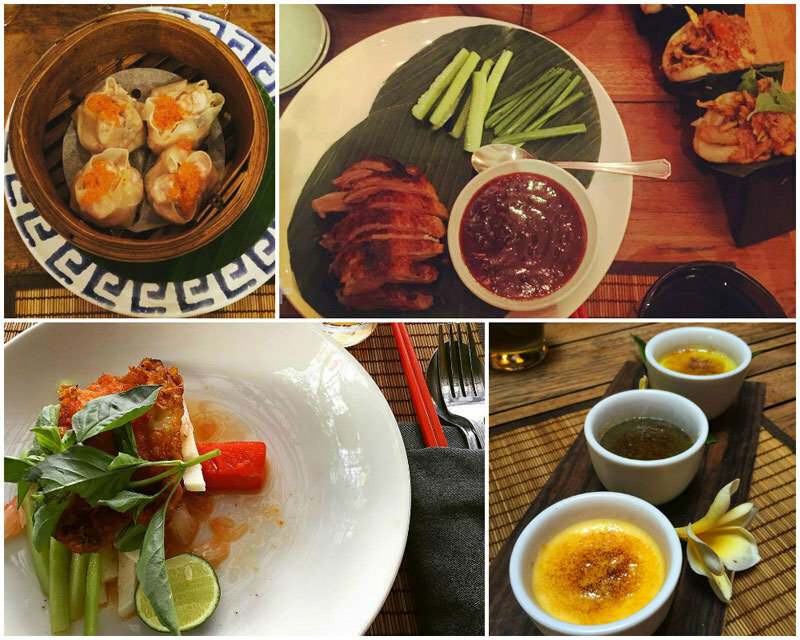 Food is another pleasant affair as the menu offers a wide array of steam buns, dumplings, rice paper rolls, wok-cooked dishes and even pizza that you can’t get enough of. The final surprise? 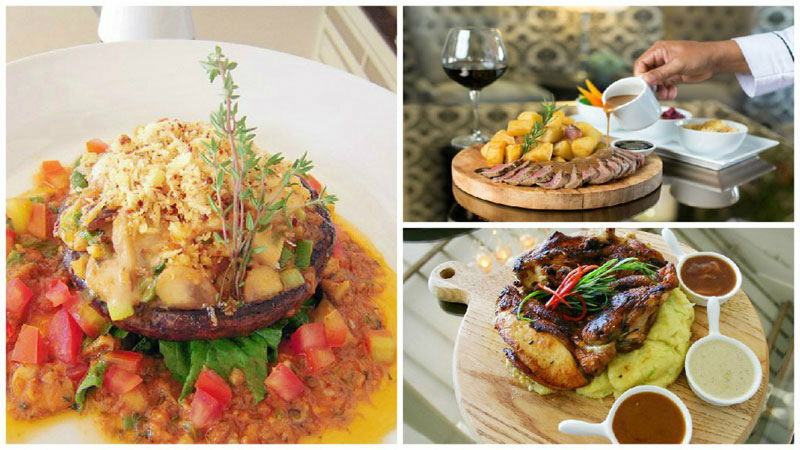 With all that tasty comfort food, refreshing drinks and long wine list, you’d get great value for money too! 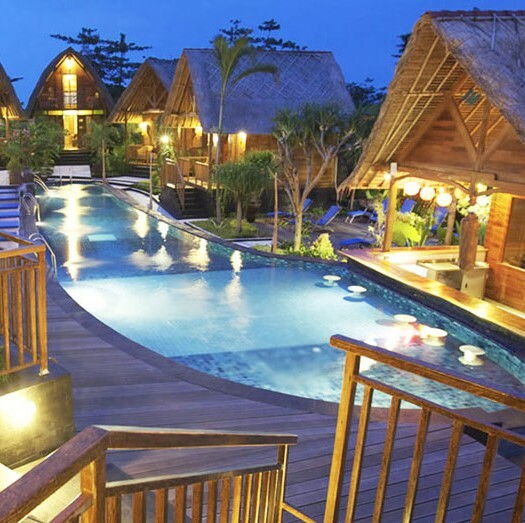 Being a part of the 5-star hotel certainly put Capris into the spotlight of first-class quality and service. It definitely doesn’t hurt that Capris is as its name says, beachfront. 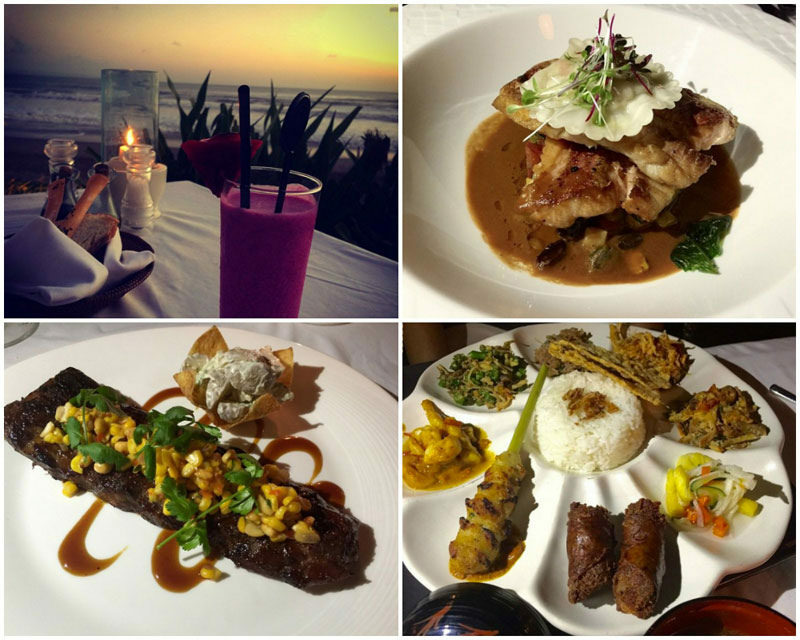 This means a gorgeous view of the Indian Ocean, along with cuisine at its Mediterranean best. 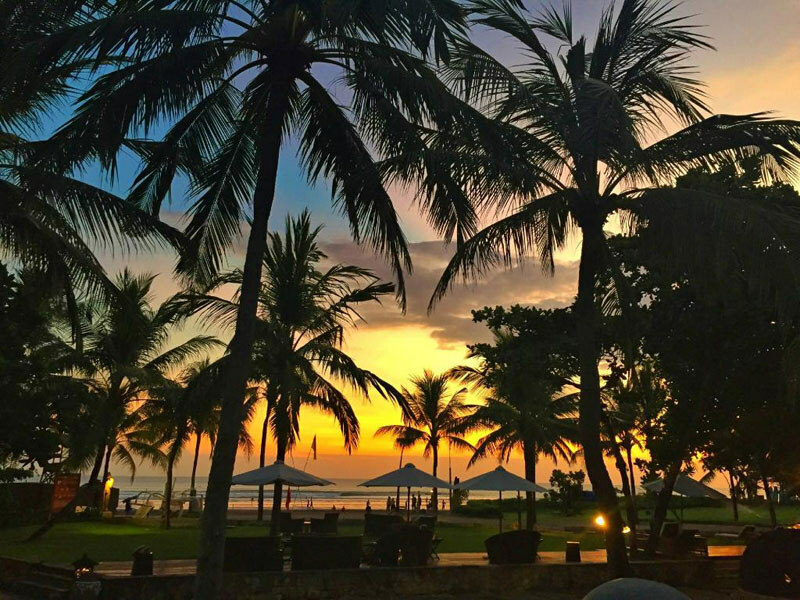 Positioned on beach infront of the Royal Beach Hotel, this means that guests get a captivating sunset view when you go down for dinner during the sunset hour. 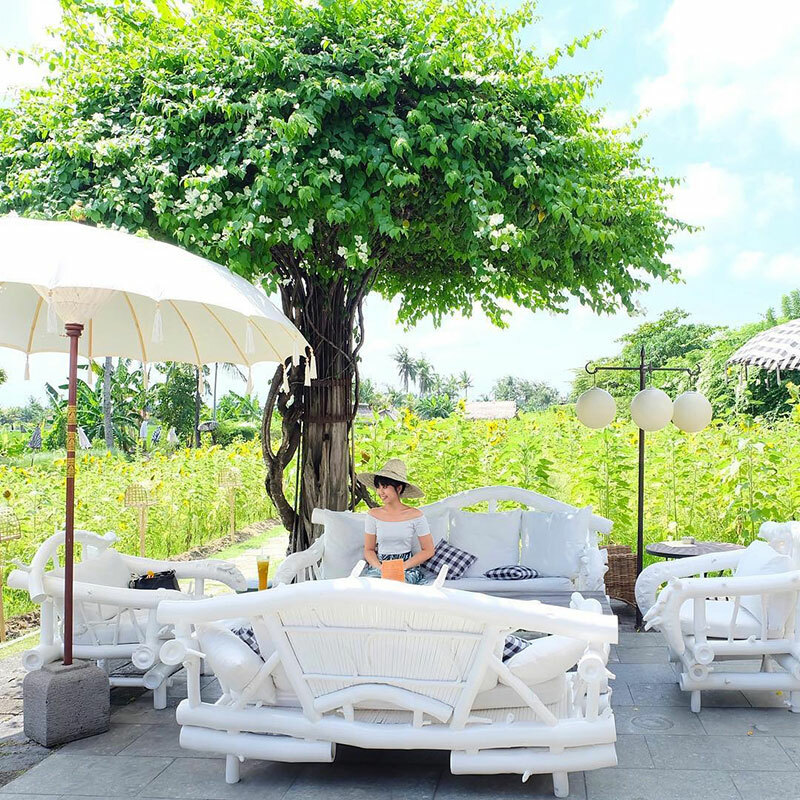 Enjoy the view with a drink in hand and spend time having a lovely little conversation with each other – while the service rolls out delectable and flavorful seafood with a mixture of your favourite comfort foods. 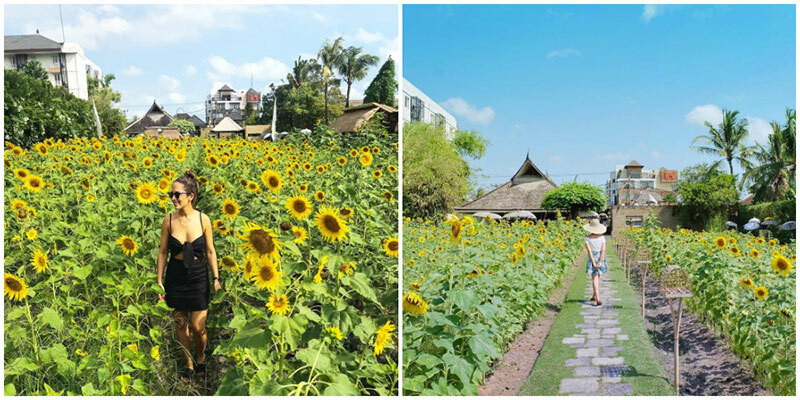 We know how many restaurants in Bali boast of paddy views, but have you heard of one with sunflower fields, and in Seminyak too? Sardine used to be one of those fine-dining-with-paddy-views option, but they have recently planted sunflower seeds which have sprung up into happy blossoms that will surely make you smile. If you prefer to sit indoors (we understand some of you might not like the afternoon heat! 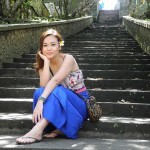 ), Sardine is located in a vast airy bamboo building, which may be more sculpture than simple structure. You can also linger at the lounge area and watch the rare white carp in the pond (which are pets, not food, so don’t feel guilty bonding with them). 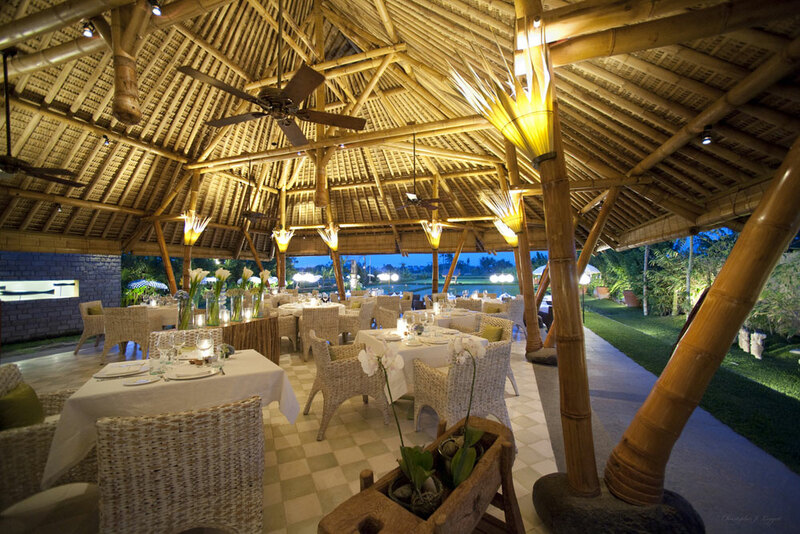 On the menu, you will find seafood and organic vegetables freshly harvested from the restaurant’s garden. 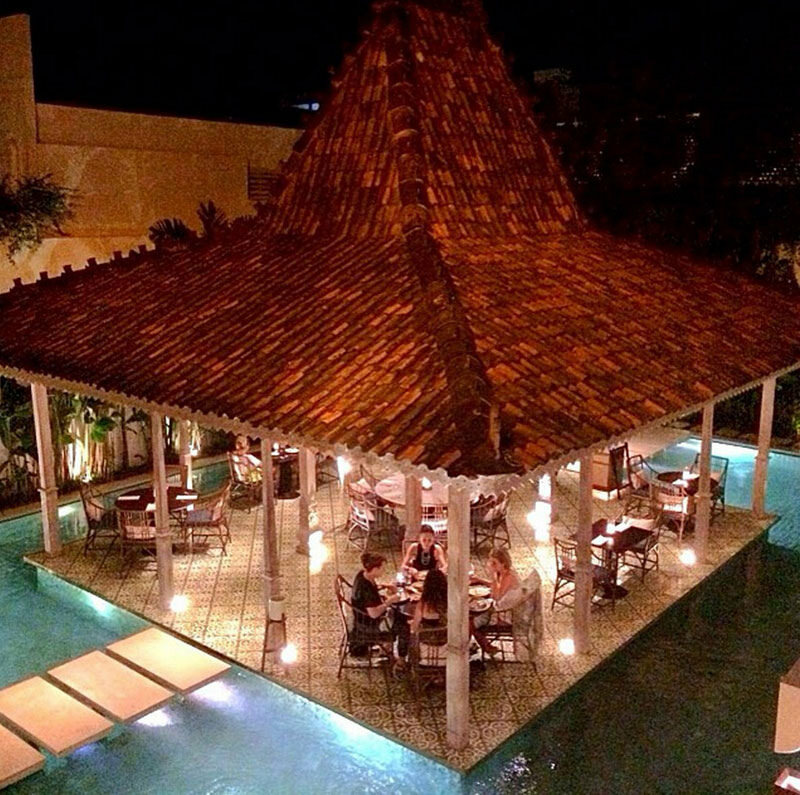 Most mains are on the pricier side but hey, you are here for the overall sunny ambience and view! Just try not to get too tipsy on the arak cocktails! 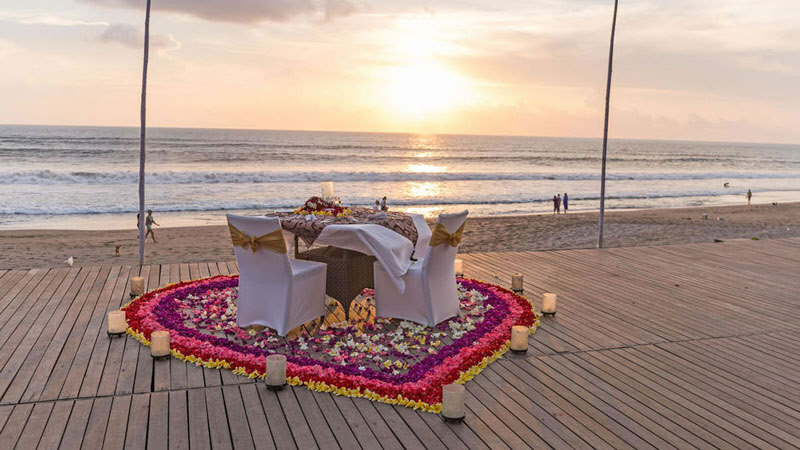 With the most romantic and quirky dining spots in Bali that even St. Valentine’s himself will approve, it’s as easy as cake to sweeten up your romantic getaway. 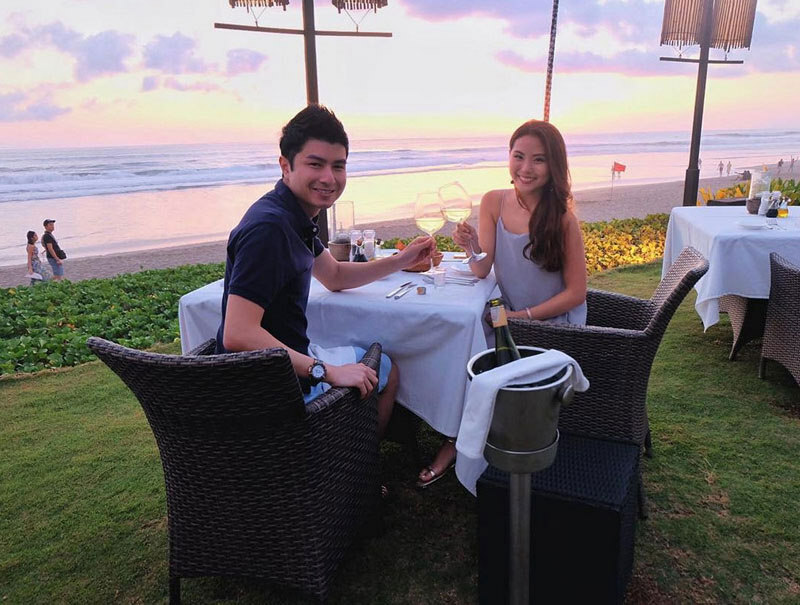 Celebrate life with the romantic Bali moment every relationship deserves! 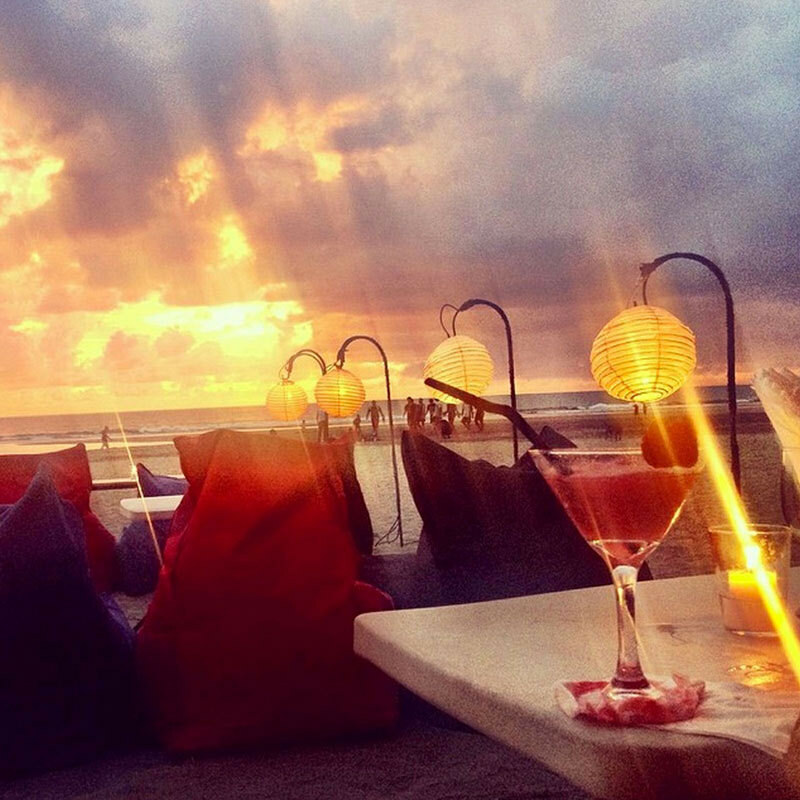 Are there any more romantic Seminyak restaurants we have missed? Comment below to let us know!